Born in 1966 in Varallo (VC), graduated in engineering and, after an activity of research at the Politecnico of Turin, he comes to planning. He is since ever highly fond of project culture and of the way that ideation, technology, production, communication and marketing strategies interfere between each others in order to realize and advertise a product, that’s why he develops a meaningful series of collaborations with companies belonging to many fields: lighting, home fittings, radiators, coverings and bathroom. 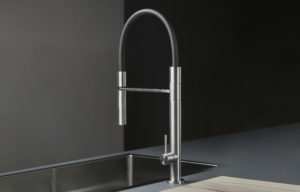 From 1999 to 2007 he develops and takes care of the Bath and Kitchen Division of the Company Ritmonio. He cooperates and teaches in institutes and universities such as the “Politecnico” of Milan, Faculty of Design, where he is the professor’s assistant in the academic year 2001-02. He receives many international awards: three selections for Adi Design Index, two for the Compasso d’Oro, two for Young and Design, Design Plus and one for Ida (International Design Awards). 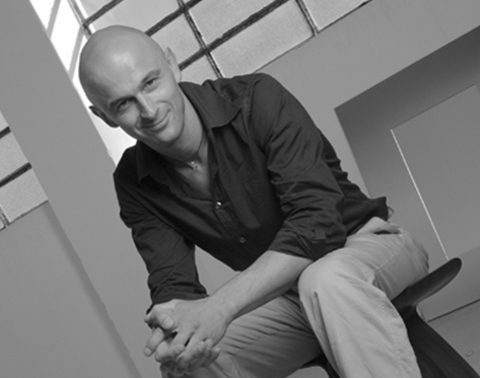 He is member of the “Osservatorio Territioriale Permanente” for Design. For Ritmonio he has planned: Tetris, Clockwork, Diametrotrentacinque, Sheeva in collaboration with Andrea Cerminara, Simbiosi, Zenit, Cardano, Comando remoto, Dumbo in collaboration with Francesco Argenti and Maurizio Marchini, Perigeo, Quattroequattrotto.